Modern society relies heavily on traditional fossil fuels including petroleum, natural gas, and coal, to sustain the daily needs. However, it is well known that those fuels are depletive and leading to irreversible damages to the environment as well as producing greenhouse gases attributing to the global warming. Hence, development of capturing energy from renewable energy sources, especially from ubiquitous mechanical energy sources such as wind, human motions, and ocean waves has attracted enormous interests all over the world. This technology, also called mechanical energy harvesting, has been developed fast during the past decade. The traditional transducer in mechanical energy harvesting device is made of piezoelectric materials which make use of electric dipole moments to convert mechanical energy to electric energy. However, those piezoelectric mechanical energy harvesting devices still suffer from low generated energy density and power density. The fundamental reason is the limited electric energy density of piezoelectric material system. Recent advances have employed some devices including nanogenerators, electrostatic, triboelectric, electromagnetic, magnetostrictive devices to improve the efficiency of energy capturing. It is noted that power and energy densities are still more or less on a par with the traditional piezoelectric systems. 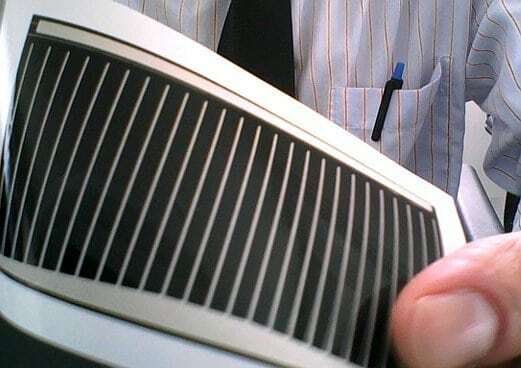 Moreover, those energy harvesting devices usually work effectively only at high frequencies, typically more than 100 Hz, and the performance will decay dramatically under low operation frequency, which are not compatible with lots of ubiquitous mechanical energy sources including human motions, ocean waves and wind with typical frequencies less than 1 Hz. 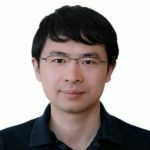 To address those issues, Prof. Qiming Zhang and Dr. Yue Zhou, along with Dr. Ying Hou, Prof. Qing Wang, Dr. Qi Li at the Pennsylvania State University have developed a novel flexible ionic mechanical energy harvesting device based on a hydrogel diode which was reported as the transducer for the first time. The device exhibits two orders of magnitude higher power density compared with traditional piezoelectric devices. In addition, the hydrogel diode transducers are biocompatible, which can be used directly for implantable micro or even nanoenergy harvesting devices. An asymmetric structure was employed by using p-type polymer with mobile cation as one electrode and n-type polymer with mobile anion as the other electrode in this device. Meanwhile, carbon nanotubes were added into the two electrodes to compensate for the space charge fields and enhance ionic diffusion current. In a typical energy harvesting process cycle, after applying stress on the device, the ion concentrations in the two electrodes increased, leading to diffusion of cations and anions with opposite directions as shown in the figure below. Hence, the diffusion current was generated in the device from mechanical energy and flow to the external circuit. Thanks to the high ion concentration in two electrodes and high ionic conductivity, dramatically increase in the current density under stress has been obtained compared with that in piezoelectric energy harvesting devices. Moreover, the highly asymmetric properties of the two hydrogel electrodes led to high rectification ratio of the diode, which enhanced the diffusion of anions and cations while suppressing ions backflow when under stress. Consequently, this novel hydrogel based ionic mechanical energy harvesting device generated peak power density with nearly two orders of magnitude improvement compared with those traditional devices. In addition, the device could be operated very well in the low frequency (< 1 Hz) which would be a good fit to most ubiquitous mechanical energy sources such as wind, ocean waves. Overall, with the deep concerns of fuel energy shortage in many countries, this breakthrough provides an excellent solution to efficiently convert renewable energy sources into electricity for portable, wearable, as well as implantable devices, holding the promise to bring the revolution of the renewable energy scavenging in the future. This study, Biocompatible and Flexible Hydrogel Diode-Based Mechanical Energy Harvesting, was recently published in the journal Advanced Materials Technologies. Dr. Zhang joined Penn State in 1991. His research area is in novel electronic materials, especially soft electronic materials and ferroelectric based materials, and their device applications. The research conducted in his group covers a broad range of applications of solid state electronic materials such as electromechanical, dielectric, photonic and electro-optic, and pyroelectric applications. His work has been supported by the National Science Foundation, the Office of Naval Research, the Defense Advanced Research Projects Agency, the National Institute of Health, and many industrial companies. Yue currently is a professor at South Dakota State University.